Pitahaya (Hylocereus undatus): growing, planting, caring. A funny-looking cactus, with a climbing or creeping habit! Hylocereus undatus - the white-fleshed pitahaya - is a species of Cactaceae, used both as an ornamental vine- climbing on rocks or trees by use of aerial roots and able to a height 10 meters - and as a fruit crop : the pitahaya or dragon fruit. It is not hardy below -2°C. 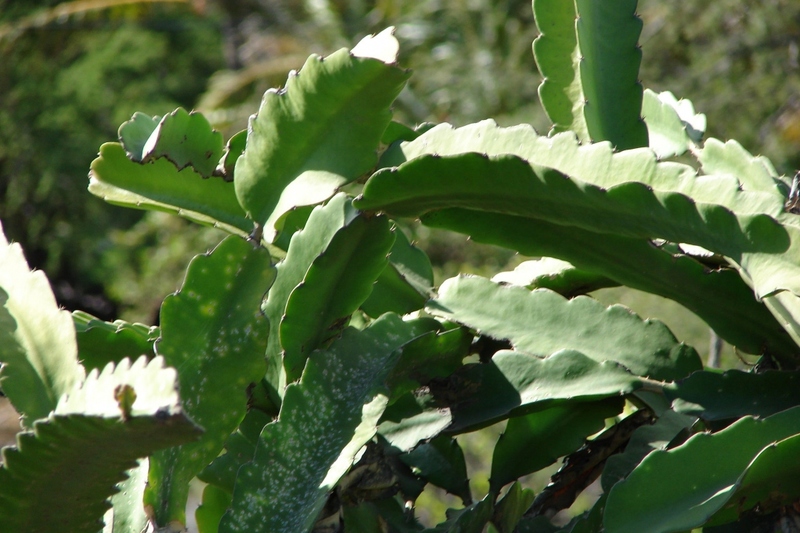 In its native environment, Hylocereus undatus is a cactus composed of many very prominent three-sided stems, measuring 6 to 12 meters in height - in our colder regions, it should be potted. It uses its aerial roots to cling to the trees, so it's a climbing cactus ...! 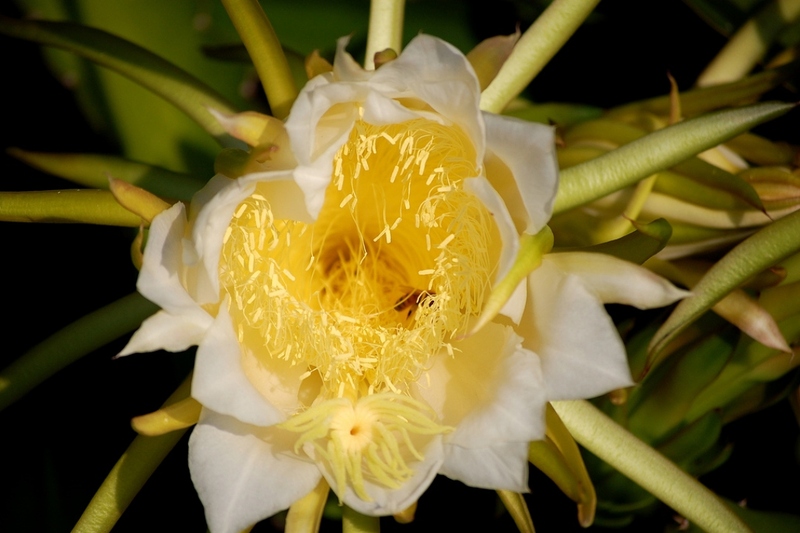 It has a white nocturnal bloom that smells of vanilla, and a very popular fruit, pitaya, pitahaya (taïno "scaly fruit"), or "dragon fruit", with pink skin covered with foliaceous scales and white flesh filled with small black seeds. 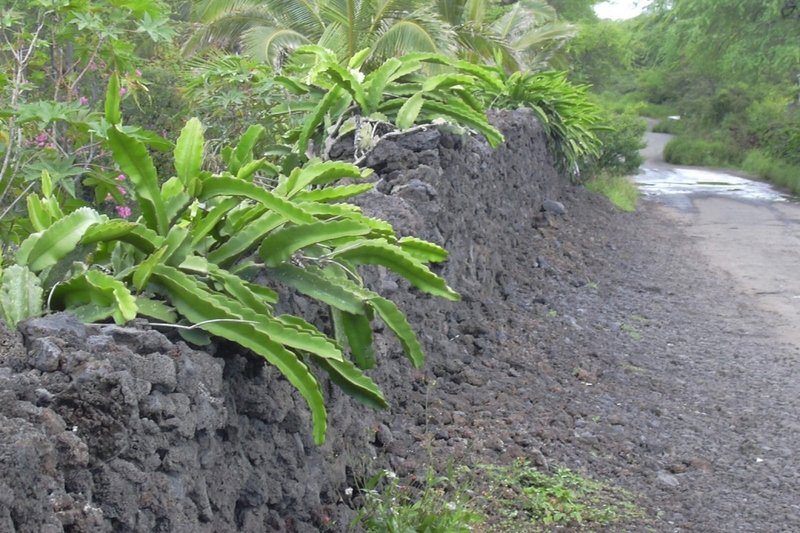 The pitahaya - like most cacti - supports irregular watering, and hates stagnant water, especially in heavy soil. The watering rate varies according to the season, because your cactus "evaporates" more when it receives a lot of light For the potted plants, a watering every 10 days can be necessary in growing season, once a month in winter and nothing if it's in open soil! Sprinkle gently, and if you see water in the cup, empty it at the end of watering. The number one enemy of cacti and succulents is decay due to too much humidity! Do not forget to be reasonable with watering, and especially to give your cactus a well draining substratum! Other fungal diseases can happen, especially botrytis. Do not hesitate to prune the sick parts of the plant to prevent the spread of the disease. Mealybugs and other mites are particularly fond of succulents. Sprays with soapy water will get rid of a large part of them. Do not forget to disinfect your equipment regularly (pots, pruning shears, ...) to avoid contaminations. Place your pitaya inside long before the first cool nights, in a room not too heated so that it "feels" the winter period: a cold around 5 to 10 ° C at night without artificial light! You should water once a month in winter.